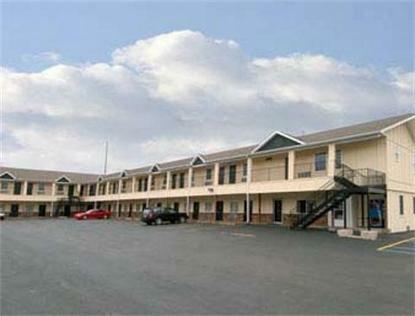 The Super 8 motel in Mifflinville is located just of I-80 at exit 242 just 18 miles from the I-81 junction. We are just 7 miles from Bloomsburg University, 8 miles from the Bloomsburg Fairgrounds, and 17 miles from Knobles Amusement Park. Mt Pocono Nascar Race Track is just 40 miles. Only Dogs Allowed and Only in Double and Handicap Rooms - Smoking and Non Smoking - For a Fee of 10.00 Per Pet Per Night. Our new addition of rooms feature King size beds, 32&quot LCD TV's with Iron and Boards, all of our rooms feature Free High Speed Internet Access, Hair dryers, Coffee makers, AM/FM Alarm clocks and over 70 Cable Channels to choose from. Join us in the morning for a complimentary Super Start Breakfast we also provide a small business center in the lobby for your convenience.